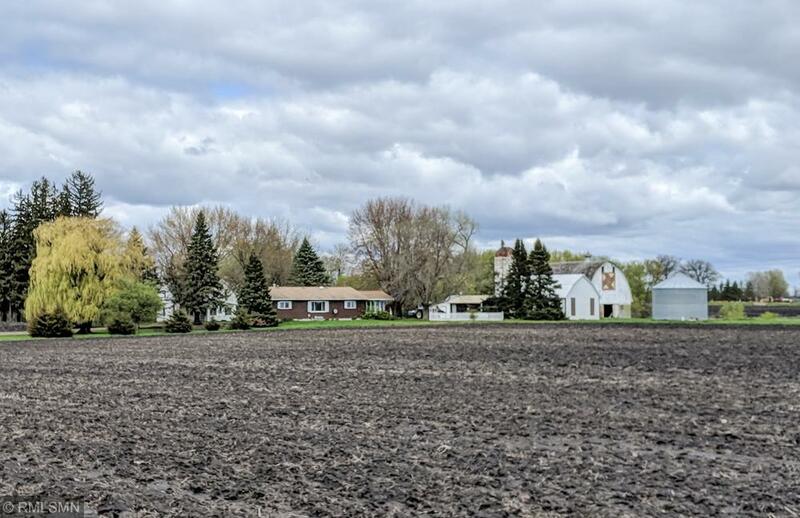 Enjoy the peaceful tranquility of country living with this unique farm site featuring two homes! The property is located only 5 miles from town on a tar road. The property is tucked away on a mature, wooded lot with a creek running through the land. The 1st home features a cozy 4-seasons porch, spacious open concept floorplan, and 3 main level bedrooms. The 2nd home is currently rented and has 3brs, 2 baths, enclosed & open porches, newer kitchen roof. Outbuildings include: Barn-32x64, Garage-16x20, 20x27, 16x25, Shed 21x50, Shed-30x43, grainary 17x22 Dirt work for the new mound system installed in fall 2018 will be completed this spring. Additional land negotiable. Directions - From Minneapolis 169 S to County Hwy 8 toward Le Sueur, Turn R on 336th St/County Hwy 8. Destination is in 6 miles.